This report was submitted 3 months, 4 days ago. Check for fresh reports! This report covers the Larose Forest trails from the P2 parking lot on hwy 8 outside of Bourget ON. 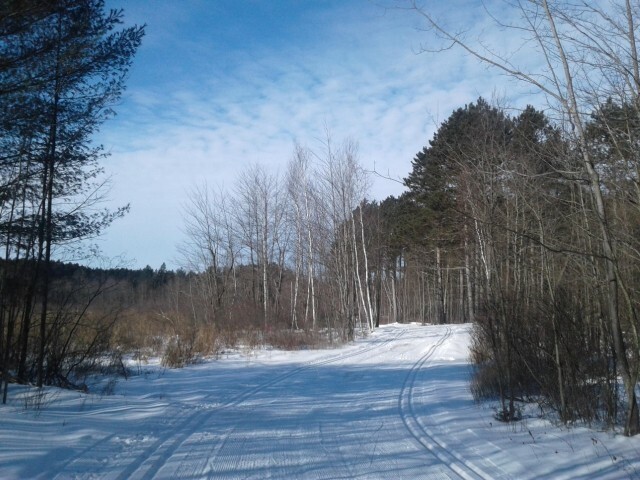 Good to excellent classic conditions on trails that were groomed late last week. The tracks are still mostly snow based with some icey sections. The pine stretches on this end are not as dirty as my Friday ski out of P1 on Indian Creek Road. There are a some sections where dirt is protruding through the snow but easily avoided. The Perron loop which is intended mainly for skate has some classic tracking. Presume the groomers didn't do the whole circuit due to lack of snow.